Holocaust survivors who were children at the time have begun to receive payments under a landmark agreement reached with the German government. The symbolic financial compensation for child survivors from this $190 million fund represents an acknowledgment of the unique trauma and hardship endured by children during the Holocaust. Payments of €2,500 are being made to the first 21,600 Holocaust survivors in 52 countries from the Child Survivor Fund following Claims Conference negotiations with the German government. The Claims Conference has been pressing for a number of years for recognition of the suffering of Jewish children during the Holocaust and, it will continue to press claims and pay additional survivors now that the process has begun. 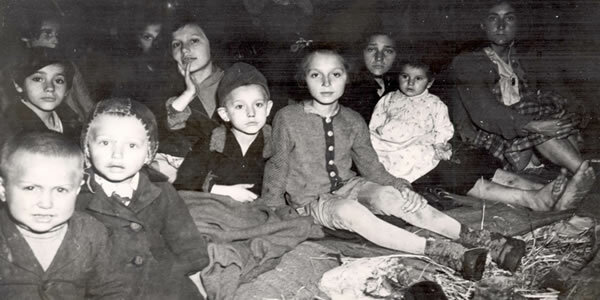 Eligibility for the Child Survivor Fund is open to survivors born January 1, 1928 or later and who were persecuted as Jews in a concentration camp or ghetto (or similar place of incarceration, in accordance with the German Slave Labor Program); or who lived in hiding or under false identity or illegality for at least six months in Nazi-occupied or Axis countries. Read the full eligibility criteria. Application forms were distributed to survivors living in 81 countries and territories who the Claims Conference believes may be eligible for this new payment. The Claims Conference gathered information about these survivors from various compensation programs. Individuals who did not receive an application form by mail but wish to apply to the Child Survivor Fund should click here for additional information, including full eligibility criteria and application forms. This year, in addition to these payments of $60 million, the Claims Conference expects to make approximately $500 million in direct compensation payments from its four programs to Holocaust victims in 77 countries and territories.